RisingWings is considered amongst the best Website Design and Development company in the Surat,India . Website development is the coding or programming that enables website functionality, as per the owner's requirements. It ranges from creating plain text pages to complex Web-based applications, social network application and electronic business applications. The process includes Web design, Web content development, client-side/server-side scripting and network security configuration, among other tasks. While there are several methods of creating website, there is often a trade-off between simplicity and customization. 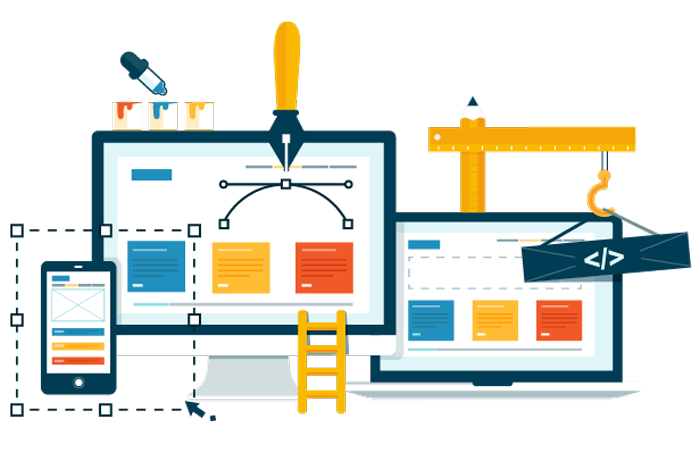 Therefore, most bussiness do not use content management systems, but instead have a dedicated web development team that designs and maintains the company's website.Although, building a website is easy, designing one takes skills and Risingwings Creative Pvt. Ltd. brings to you the optimum combination of those very skills.